Watch the autumnal phase of nature come to life as you glance over the withered leaves printed over the wedding collection set. 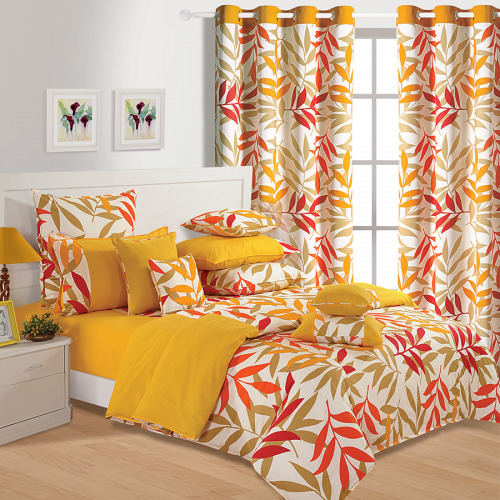 The yellow petal bedrooms set have a yellow color sides with white color centre having large leaves in mustard, orange and yellow color giving it a full autumn feel. They are fade resistant and don’t lose their color even after several washes. 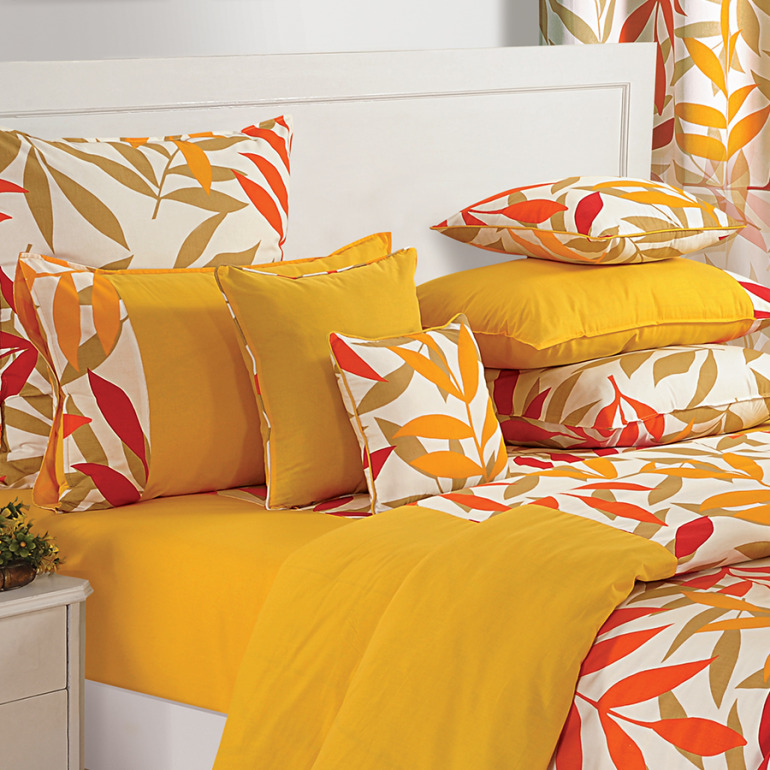 Wrap yourself up in the cozy comfort of the matching comforters while you snuggle up to your partner. 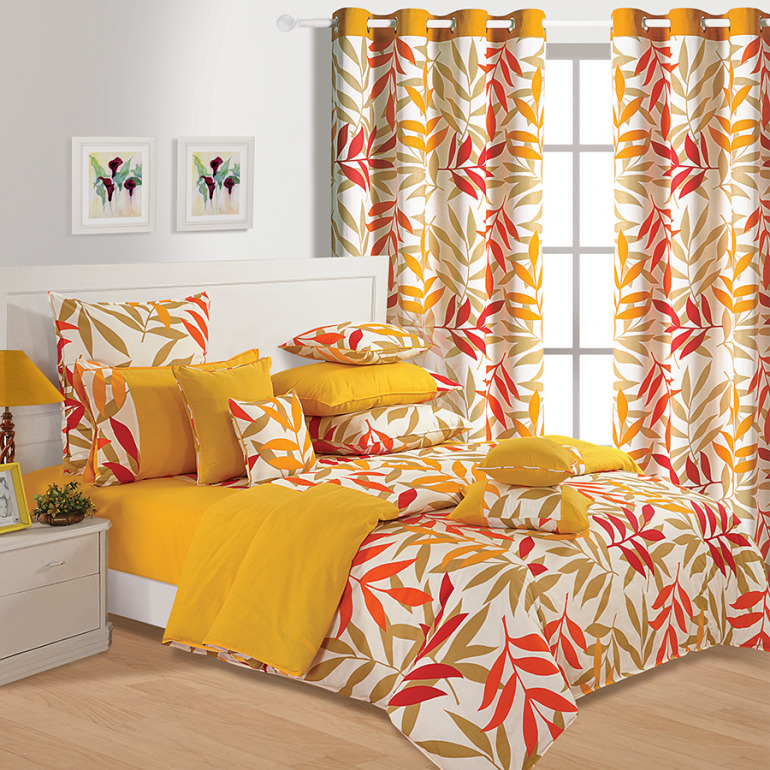 You can make each piece of your bedroom set fit by customizing them as per your requirement. Simply login at our website and fill up a form specifying your desired requirement.. We provide right packaging in order to protect your product from any kind of damage. 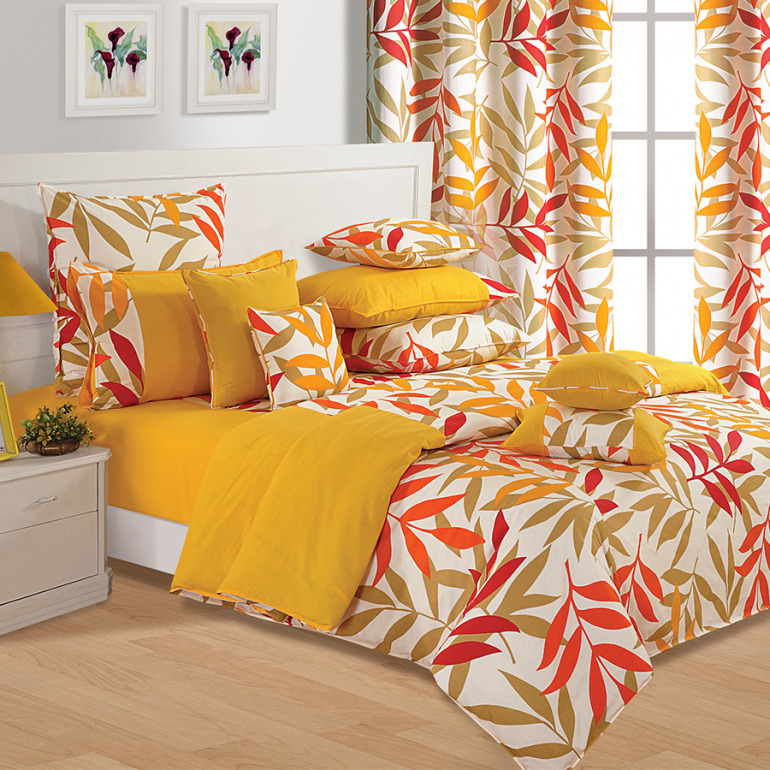 Place an order online to get your hands over these exclusive bedroom sets. Buy yellow petal wedding collection sets from our online shopping portal swayamindia.com and make payments either online as secured channels are provided or through cash on delivery. Since these bedroom sets are made from 100% pure cotton they are dust repellant and don’t lead to any kind of skin –irritation making your slumber more fun and divine. Give your room a wholesome look with extra cushiony comfort by placing extra cushions, sham over them. Relax and rejuvenate yourself as you feel their plush soft surface. For the maintenance of these bedroom sets you can give them a cold wash and dry them in shade, as there is no risk of shrinkage. .Recreate your home with the beauty of Paradise.